Ensure your loved one’s needs are always met with our team of live-in nurses. Our carers utilise their years of experience to provide both children and adults with care for their specialist needs. Our experts are more than capable of juggling every day domestic tasks and providing top quality care to the client. We provide experienced and sensitive care for patients who are suffering from dementia. Contact us for more information on the home help and other quality care services our experts provide for clients across the UK. With our head office in Worcestershire, Rainbow Care Solutions utilises a team across the UK to provide clients and their loved ones with quality care services. 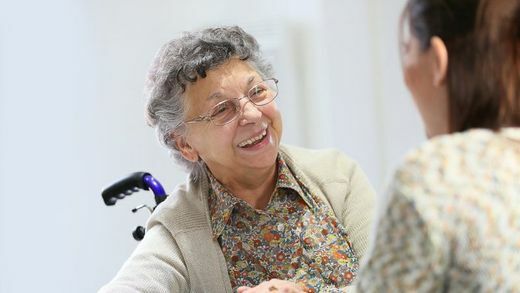 We have provided our experience and assistance since 2005, whether it be home help or live-in care, we are always on hand to provide vital assistance to whoever needs it most. Rainbow Care Solutions is a member of the United Kingdom Homecare Association (UKHCA) and the International Organisation of Standardisation. The 5th Rainbow Care Awards will take place at Stratford Sports Club on Saturday, December 14th, 2018 between 7:00 p.m. and 11:00 p.m.
 Providing Care Services to People across the Whole of the UK.